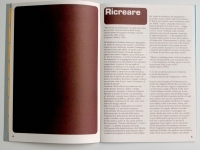 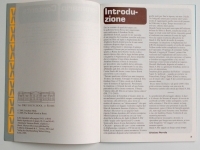 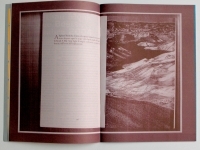 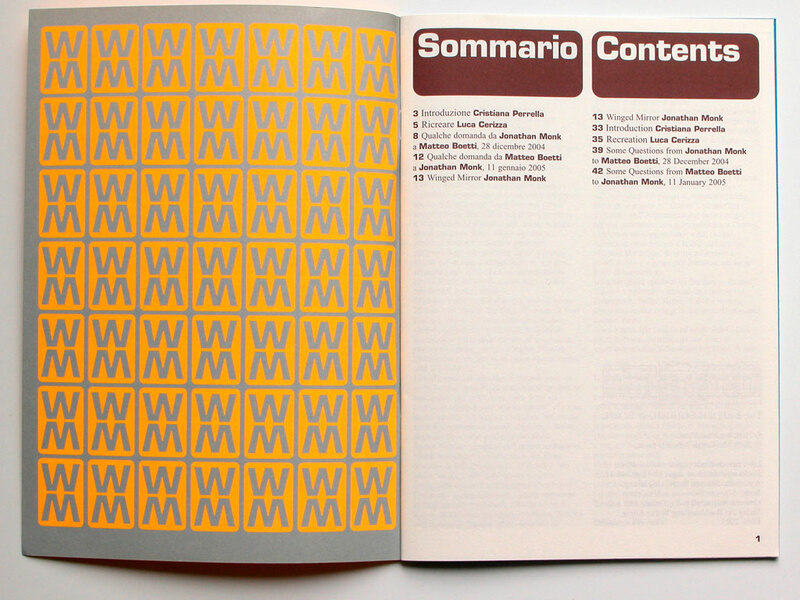 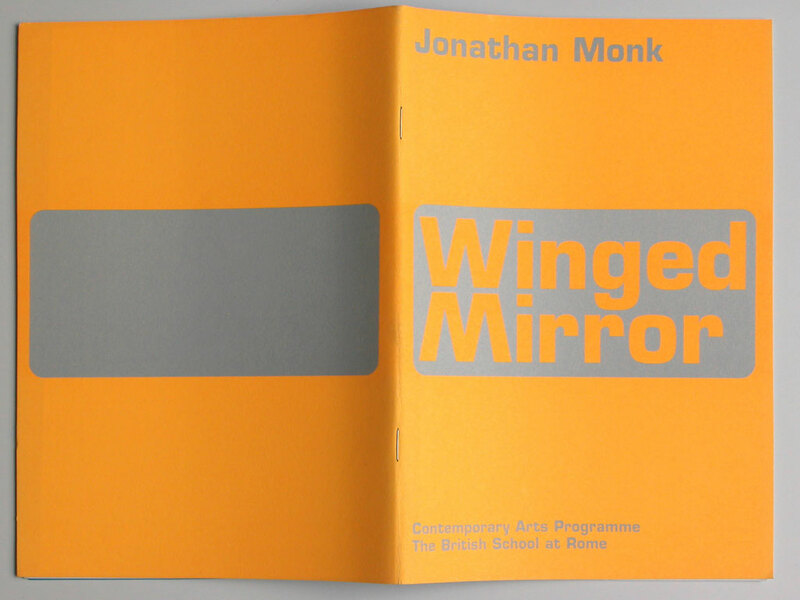 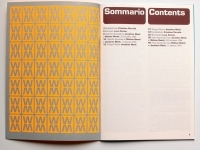 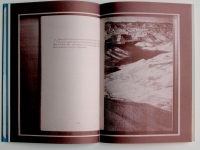 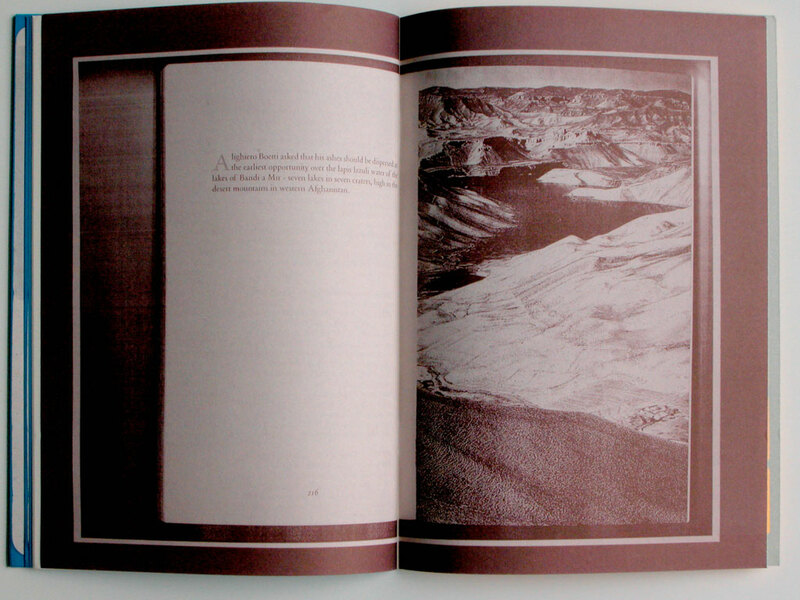 This book is both an exhibition catalog and artist book since it does not show the work in the exhibition, but rather, a related project conceived by the artist specifically for this publication. 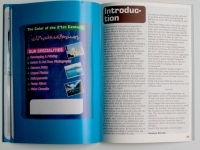 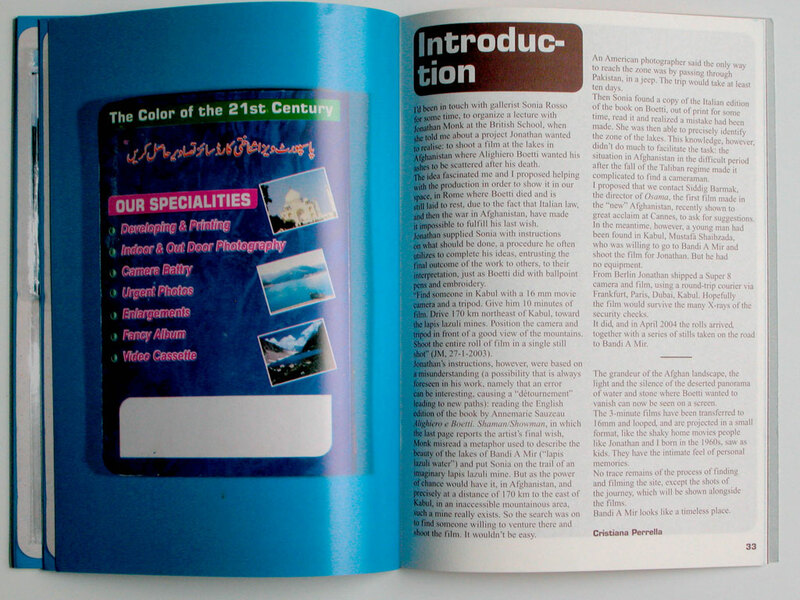 That part is placed in the middle of the book and clearly stands out through a change in paper and color. 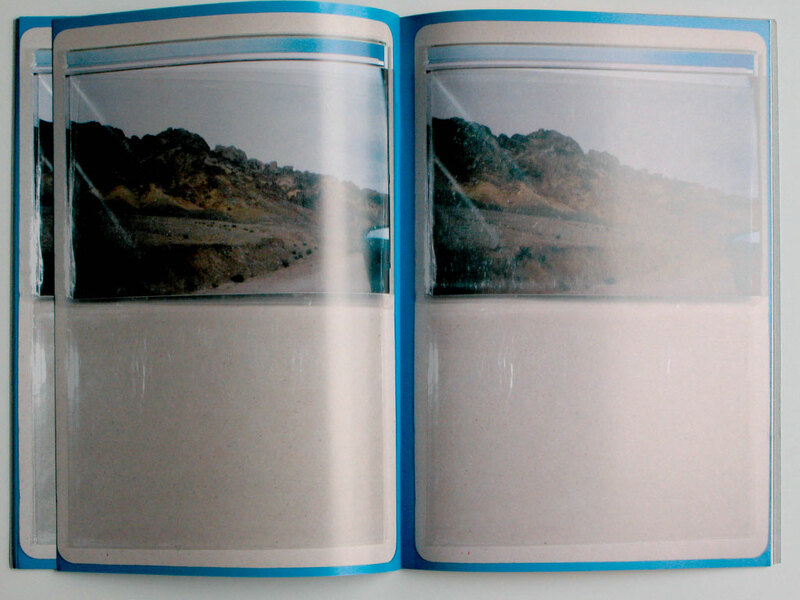 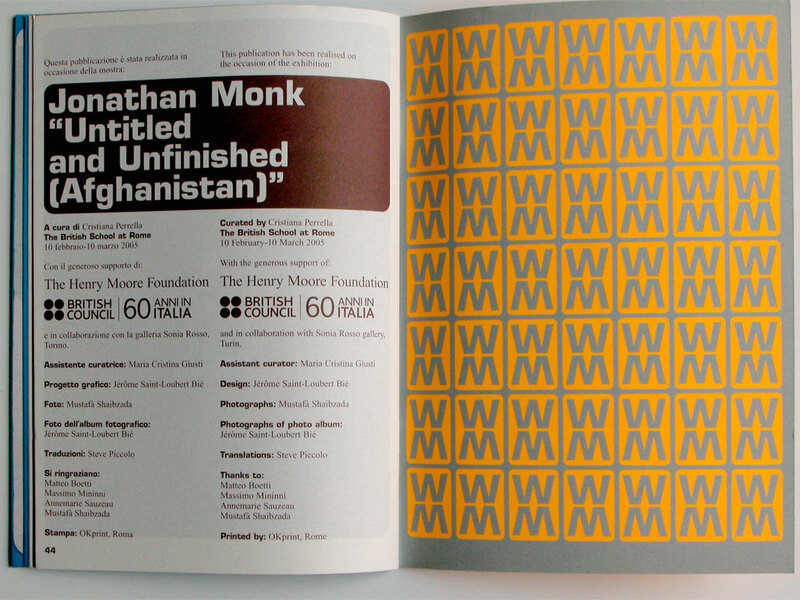 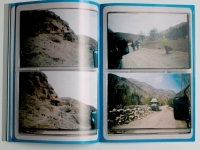 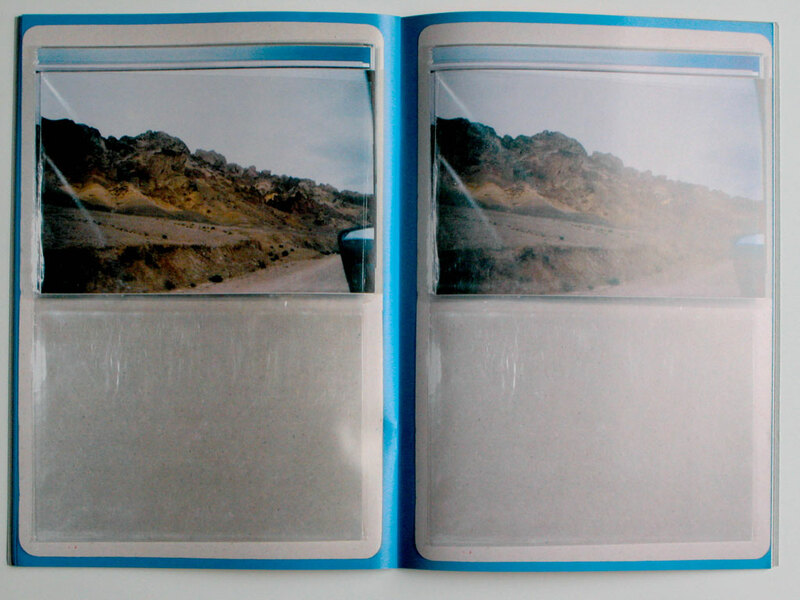 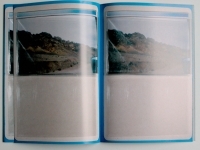 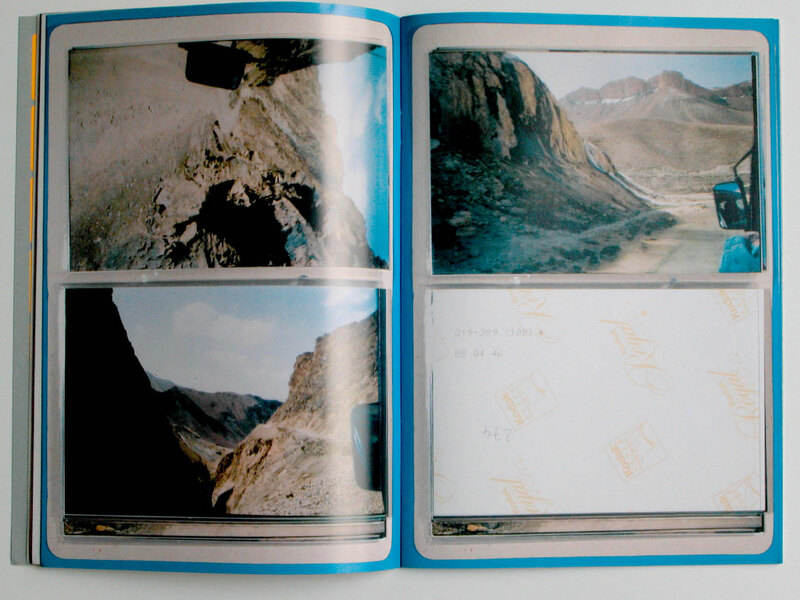 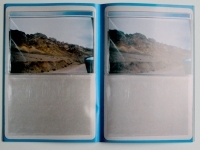 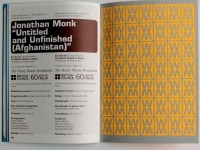 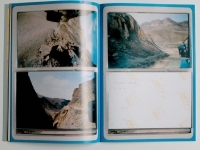 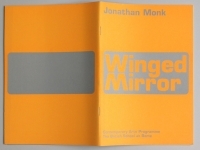 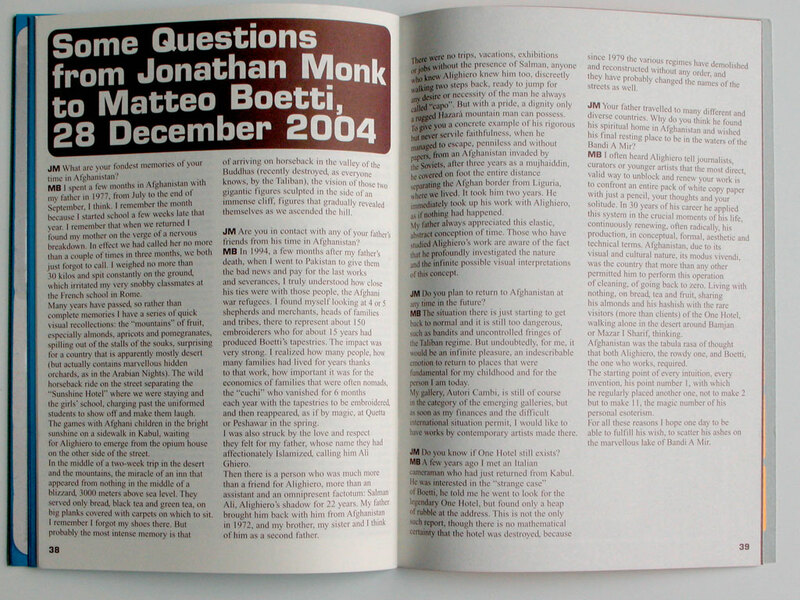 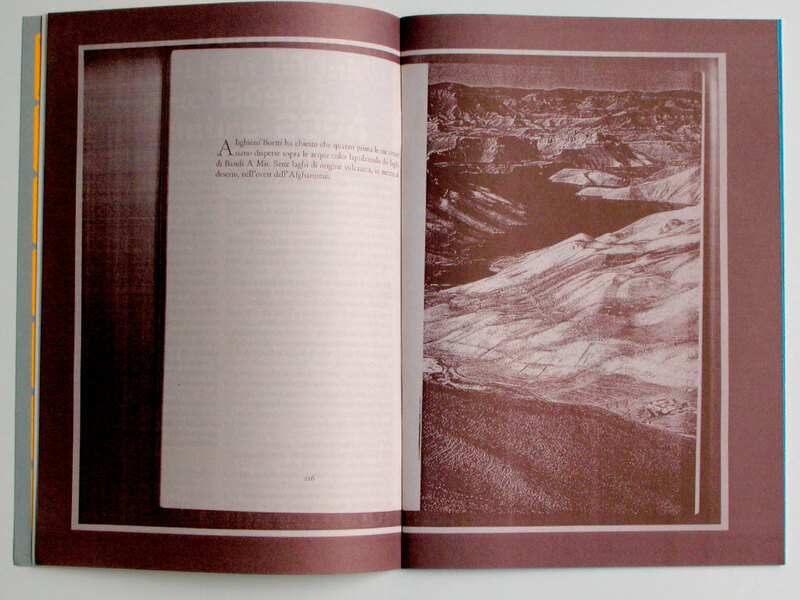 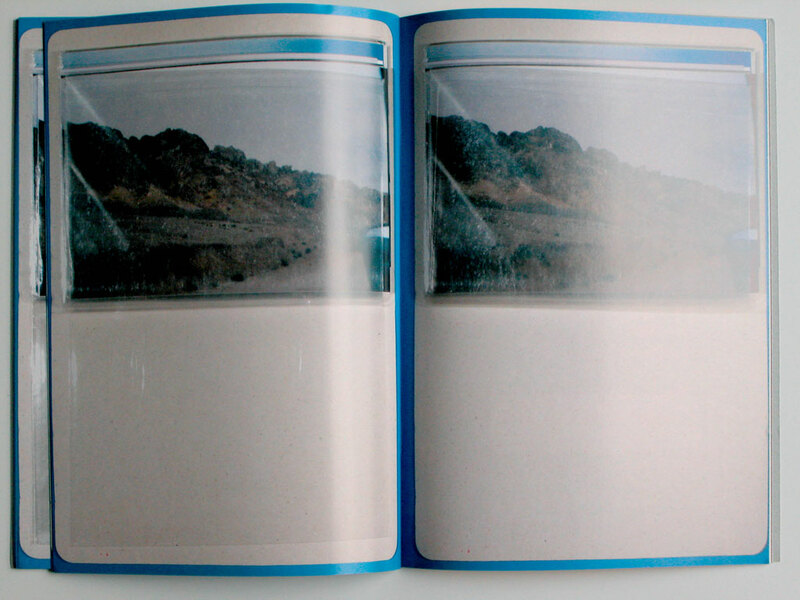 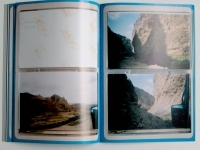 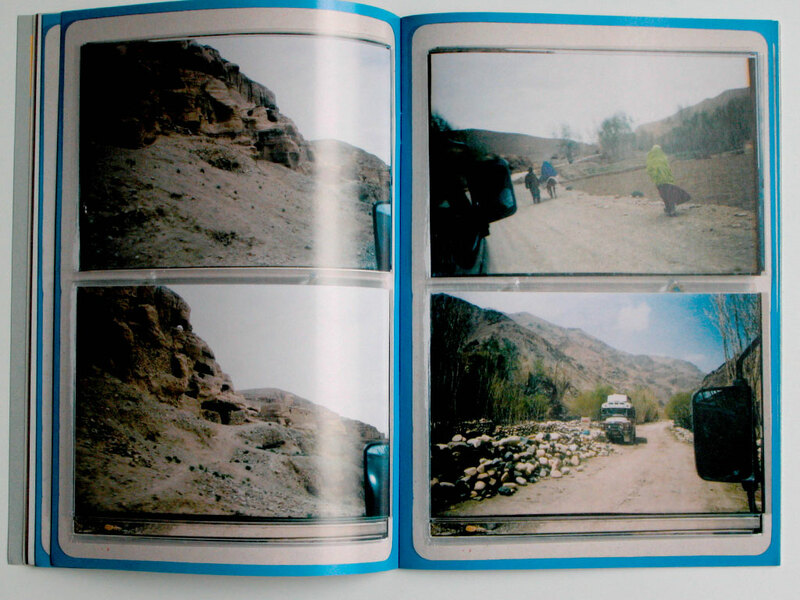 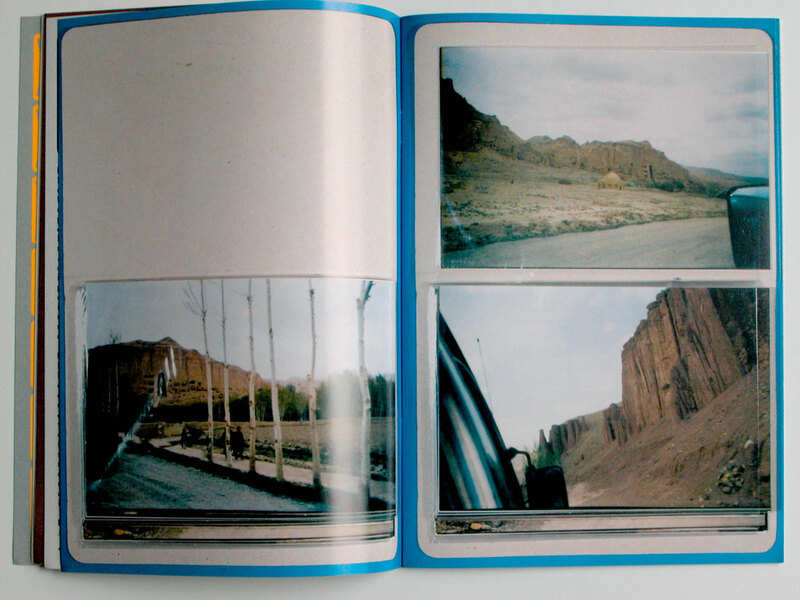 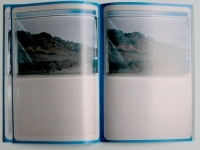 Jonathan Monk had commissioned a photographer to take photos of a trip in Afghanistan which the photographer sent to Monk in a photo album that probably came for free at the photo lab. 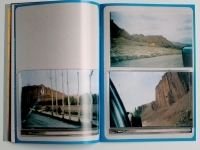 Instead of scanning the photos for individual reproduction, I offered to photograph them as they were in the photo album and reproduce the double pages life-size in the book.